Mark R. Figueiredo typically represents business owners in connection with their legal needs. This includes business formation, corporate governance, corporate financing, buy–sell agreements, stock option agreements, commercial contracts, intellectual property agreements, mergers and acquisitions, and general business counseling. Mr. Figueiredo began his career in 1995 as a business litigation attorney and he continues to work with the firm's litigation team in connection with shareholder and partnership disputes, licensing disputes, employment claims, real estate actions, contractual disputes, and collection actions. 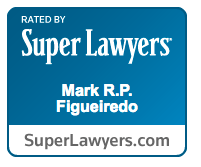 Mr. Figueiredo was selected for inclusion in the 2017 Northern California Super Lawyers. This marked the sixth year he was so selected. Only five percent of the lawyers in Northern California are selected each year. Prior to Structure Law Group, Mr. Figueiredo was a practicing attorney in both the corporate and litigation fields at established firms in the San Jose area for many years. Mr. Figueiredo also served as a judicial extern to United States District Judge Robert P. Aguilar in the San Jose Division of the Northern District Court of California. Mr. Figueiredo earned a Juris Doctor Degree from Golden Gate University School of Law and a Bachelor's Degree from the University of California at Berkeley, with Honors. He was admitted to the State Bar of California in 1995. Mr. Figueiredo has been a recurring guest on KLIV, NBC News Radio, speaking on issues relevant to start-ups and the business community. 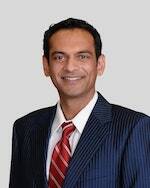 He has also published articles in the San Jose Business Journal and in the Silicon Valley Business Ink. * AV Preeminent and BV Distinguished are certification marks of Reed Elsevier Properties Inc., used in accordance with the Martindale-Hubbell® certification procedures, standards and policies. Martindale-Hubbell® is the facilitator of a peer review rating process. Ratings reflect the anonymous opinions of members of the bar and the judiciary. Martindale-Hubbell® PEER REVIEW RATINGS™ fall into two categories - legal ability and general ethical standards.